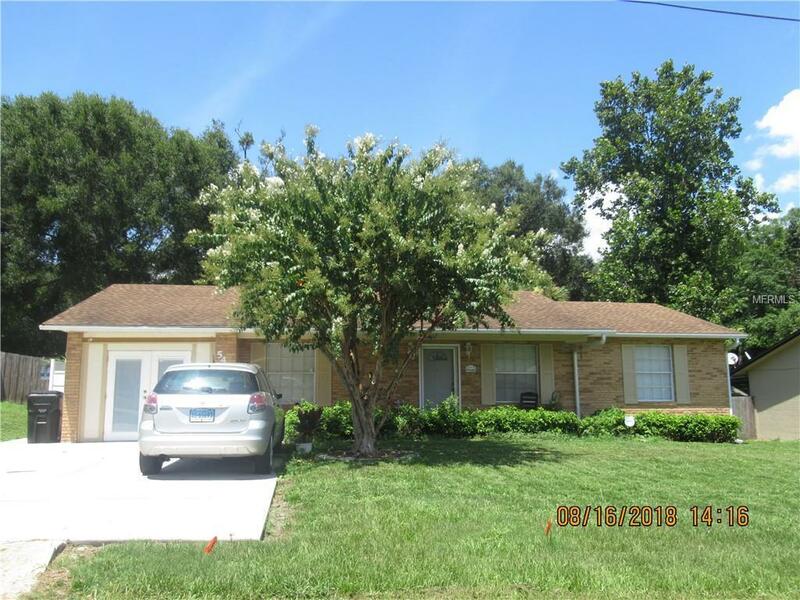 Great desired Orange City home located near shopping, restaurant, hospital, several parks I-4, and 17/92 yet VERY private with LARGE yard. Located with short commute to DAYTONA BEACH (World most Famous beach and home of The Daytona 500) and the Orlando attractions. Enjoy the Florida life, So much newer and updated. Home warranty included with acceptable offer. Move in get ready for the GOOD LIFE. In wall aquarium adds that FLORIDA style to this cute home with amble rooms Cute home that features 4 bedrooms. A Much see, so much has been done to this solid home. Back yard. fully fenced is large and offers so much privacy. Bring you critters and /or a great place for the kiddo to play or enjoy those cooler Fall night with you own FIREPIT. There is even a LARGE workshop for Dad to tinker in. Great screen room. Security cameras offer peace of mind. VERY motivated seller, hurry this home offers so much and is ready to move right in. Hurry, HOME!